Of all the people to join in on the crowdfunded movie craze that most notably produced the Veronica Mars movie and Zach Braff’s second feature I Wish I Was Here, Adam Carolla is nowhere near the top of that list. But that’s exactly who’s doing it. Adam Carolla, who has a regular segment on The O’Reilly Factor. I’ll have to say it a few more times to see if it gets any easier, or makes me care a little more. Carolla, whose last screenwriting credit was also his first one, for 2007’s The Hammer, is looking to follow that up with Road Hard, a film for which he is seeking money through FundAnything. The potential film has raised $210,000 already with 43 days still left to go in the campaign. 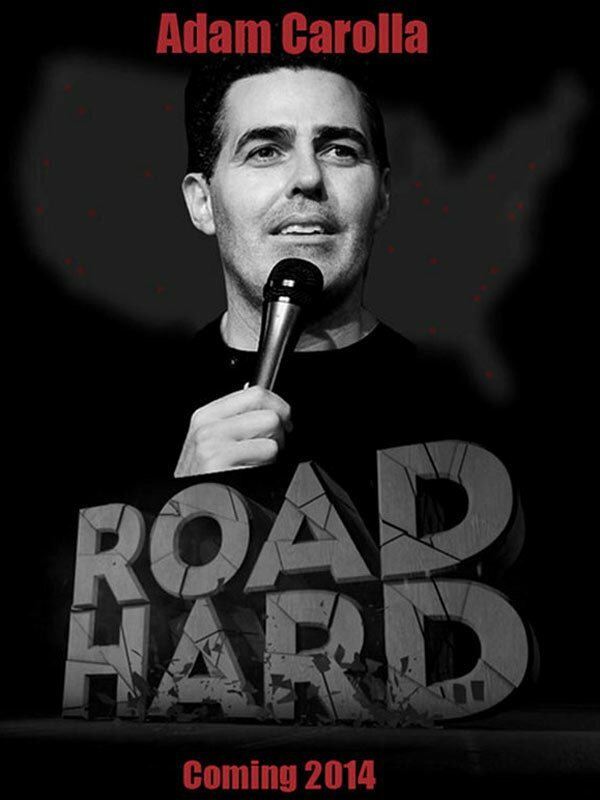 Road Hard, a comedy about a stand-up comic who’s trying to get off of the road, will be co-written by Carolla and Kevin Hench, who also co-wrote The Hammer, and has worked with Carolla since The Man Show. This would be Hench’s directorial debut. We’ll get to Carolla’s humorous pitch, as well as the various donation prizes, in a few, but the biggest draw/potential hoodwink this film already has going for it is Breaking Bad’s Bryan Cranston, who shows up in the promotional video. And according to him, he’s only going to be in this video, as he “would rather play the gay pimp in Deuce Bigelow: Pakistani Gigolo” than star in Carolla’s movie. Man, I love it when Cranston gets to play comedy. Even Malcolm in the Middle just didn’t do him enough justice. Check out the promo below, which itself is funnier than most comedies I pay money for. From namedropping Argo to discussions of where Cranston would “take it” instead of hopping onboard, I’m not sure this could have been any better. And then he brings out the Emmys! The fact that Cranston gets way more play than Road Hard itself doesn’t bode well, but Carolla knows that comedy sells. It’s also evident in his pitch letter to potential donors, which you can read below. The early levels of donations will get you the usual screenplay, DVD or Blu-ray, poster and T-shirt. But the more money you drop down, the more you get, including pre-screening parties, podcast parties for his podcast The Adam Carolla Show, tickets to the film’s premieres, set visits, writing sessions. You can even be an extra or land a speaking role in Road Hard. It’s a good time to be a wealthy Carolla fan, am I right? They plan for a December 2013 production should the money come through. (I have a feeling Carolla would have tittered at me saying “come through.”) Here’s Road Hard’s first mocked-up poster. I don't see Cranston's name on it, either!